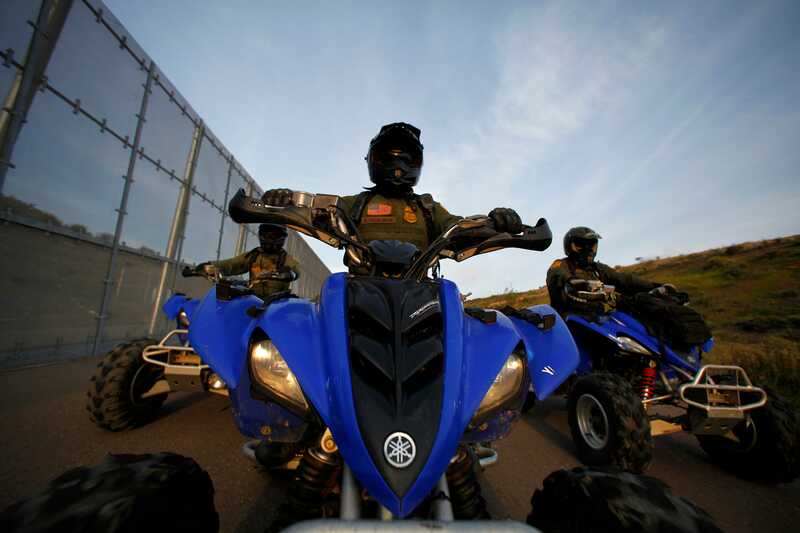 ATVs are multi-purpose vehicles that can be used for towing large loads or tearing through dirt and dunes. The experts at FindTheBest compiled a list of the best ATVs on the market. FindTheBest developed a Smart Rating for each ATV based on engine power, year, brakes, utility and weight. Price, drive, and displacement were also considered. The two-wheel drive vehicle is easy to handle and manoeuvre on rough terrain. The ATV is 2.6% lighter than comparable vehicles, weighing in at 1,287 lbs, and can tow up to 1,500 lbs. The energy efficient engine can inhale up to 17% more air than its competitors. This ATV can carry 240 lbs of payload in the rear and 120 lbs of payload on its front rack. The Outlander also has waterproof storage areas built in to protect cargo from weather damage. It can tow up to 1,300 lbs while only weighing 715 lbs. The first four-wheel drive vehicle to make the list can tow up to 1,300 lbs. The sport ATV is 684 lbs and has a double wishbone front suspension that makes the suspension system fully adjustable toward the load it’s carrying. Similar to the Outlander L Max 450, the L 450 also has waterproof storage and can carry 360 lbs of payload. But it’s a bit lighter, at 678 lbs, yet can tow the same 1,300 lbs. The Big Red can carry a payload of 1,000 lbs and can tow up to 1,500 lbs. Even though that’s 500 lbs less than the average towing capacity of utility side-by-side vehicles, the cargo-mover has four-wheel drive for extra traction and stability. This 4×4’s cargo bed can hold up to 300 lbs of cargo. The ATV’s design allows for up to 26% more range of motion than comparable sport side-by-sides. This ATV is designed for four-wheel drive on the fly, meaning you can manually control whether you are in two-or four-wheel drive. The eight-valve, liquid-cooled SOHC 976cc engine is one of the most powerful on the market. The 4×4 can haul up to 300 lbs of cargo and comes with tie-down hook points to securely fasten your payload to the cargo bed. 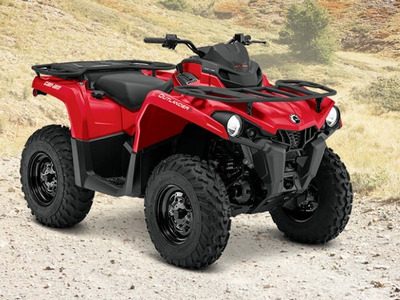 The ATV weighs 1,335 lbs, which is slightly lighter than comparable models. This model, like the previous one, also comes with tie-down hook points to secure up to 200 lbs of cargo on the bed. The engine efficiently inhales 17% more air than competitors, adding to the power of the engine. 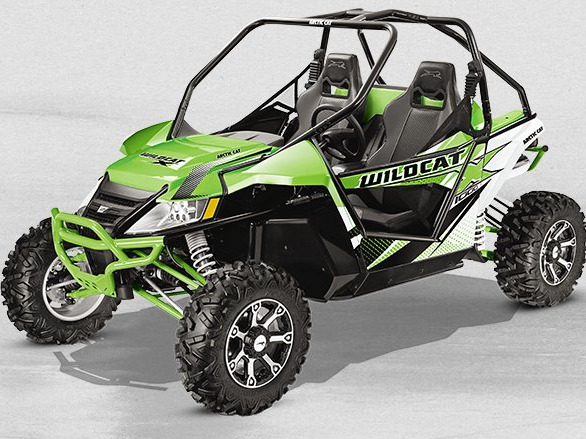 This ATV is the priciest to make our list, but it’s the best on the market. Its rear rack can carry up to 300 lbs, while comparable sport ATVs can’t carry any weight in the rear. The vehicle has 89% better range of motion over similar ATVs, and has one of the most powerful, 90 HP engines on the market.